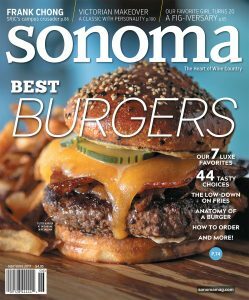 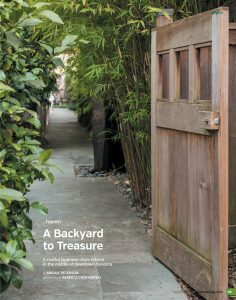 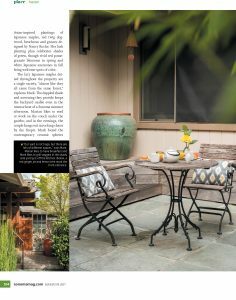 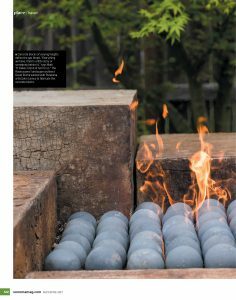 This local Roche+Roche residential design for our friends Marion and Mark Rasmussen is featured in the May/June edition of Sonoma Magazine, on newsstands now. 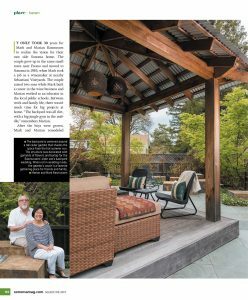 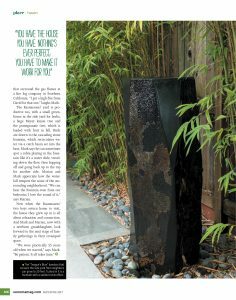 The landscape took its Contemporary Asian cues from the beautiful interior remodel they had already begun prior to the landscape project. 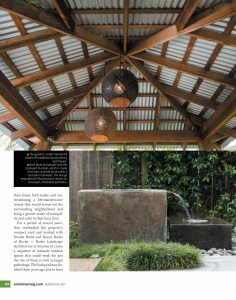 A cedar and corrugated steel pavilion creates a cozy shaded gathering spot, flanked by a gas fire pit and a water feature, both incorporating the custom concrete blocks used throughout the design. 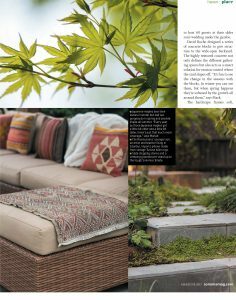 Asian themed plantings include Japanese Maples, Redtwig Dogwood, Japanese Anemones, and ornamental grasses.